Teams of 2 (or more for family groups) complete checkpoints scattered across the heart of the harbour city. Solving cryptic clues to work out where they are heading before completing fun checkpoint activities. Check out the video below to see what you missed out on in 2017! What will 2018 have in store? Well that is part of the fun of the event, you don’t know what you will be doing until event day. Our team is hard at work preparing some never before seen checkpoints that will challenge your body and your brain! Looking to enter? There is a price rise on the 24th of October so make sure you get your entry in before then to save $15 per person! 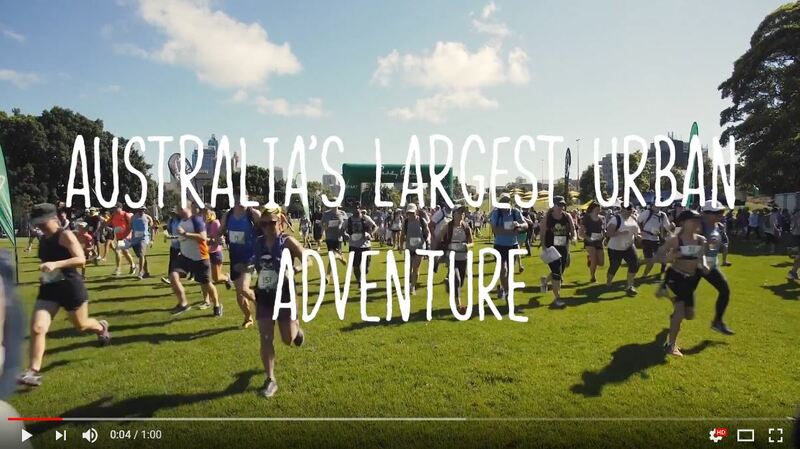 Organise the family or get your mates, gym buddies, office colleagues or corporate business departments together and enter your teams for an unforgettable family day out/team building challenge or just have a blast with your partner or mate. This super fun race really is like a mega episode of the Amazing Race all crammed into one day!